Sherlock Holmes and the Underpants of Death is a collection of short stories about some of Sherlock Holmes’s more unknown and embarrassing cases. As you read these stories you will think these are the most ridiculous cases but they are meant to be that way. 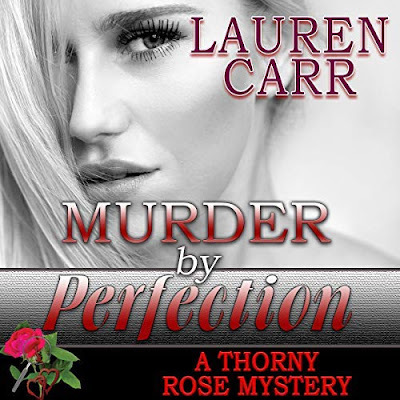 They are meant to poke fun at the famous detective and his sidekick, Mr. Watson. Be warned as there is some crude language for those who are virgins to the language of swearing. 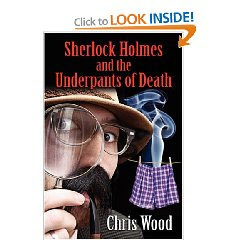 Author, Chris Wood brought the same type of style to his book, Sherlock Holmes and the Underpants of Death that I enjoyed so much from the old, classic Sherlock Holmes stories but with some modern twists. There were a few stories that I liked better then the others like The Underpants of Death. It was a real stinker in a good way. I also liked The Problem of the Poultry Affair. For anyone who has not read a book written by an UK author, then you will either not get their sense of humor or will be slow to embrace it. I have read several novels by UK authors and have found they have a very different style from American authors. They are a little freer with where they pushed the boundaries which can be known as dark or black humor. I wasn’t laughing all the way through this book but when I did, they were good moments. Mr. Wood made me miss Sherlock Holmes. Overall, a pretty good book. I've been wanting to read some Sherlock Holmes...it's just more books to add to my list! :D Thanks for the review. Not for me. I like British humor, but I adore Sherlock and don't think I can handle this one. He is The Imposter or Is He?